4-CD boxed set (LP-size) with 48-page book, 122 tracks. Playing time approx. 315 mns. 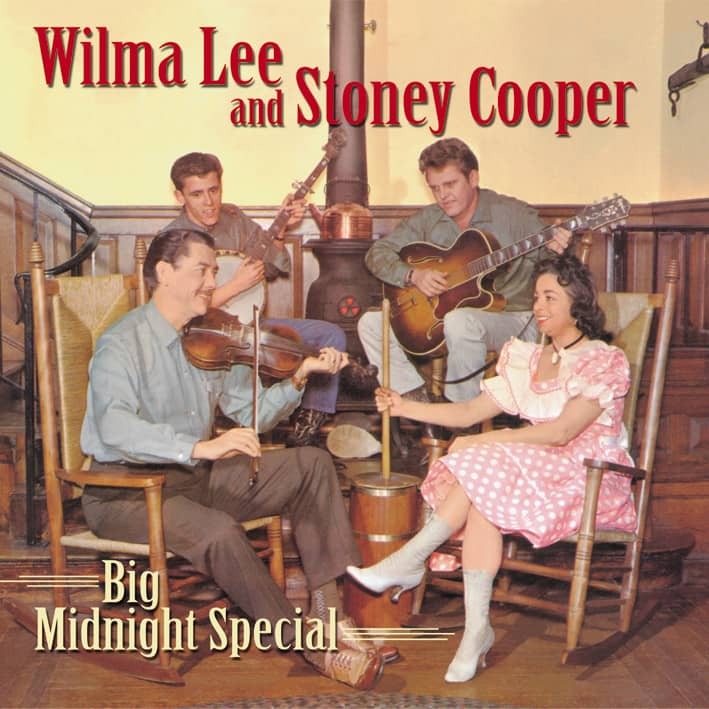 In response to many requests from fans of bluegrass and old time music, the classic recordings of Wilma Lee & Stoney Cooper are finally issued complete! Includes ultra-rare and unissued early recordings from the Coopers’ personal collection! 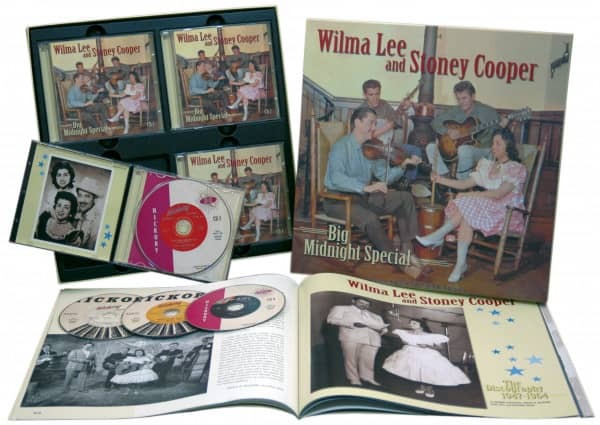 Everything that Wilma Lee and Stoney Cooper recorded for Rich-R-Tone, Columbia, and Hickory…complete and restored! Incredible versions of classic songs like Little Rosewood Casket, Wicked Path Of Sin, Tramp On The Street, Walking My Lord Up Calvary's Hill, Thirty Pieces Of Silver, Big Midnight Special, This Ole House, and Wreck On The Highway. A hugely important piece of American musical history now on CD for the first time! Old time, bluegrass, traditional. Whatever you call them, WILMA LEE and STONEY COOPER kept it alive and kept it country. They sang and played their style of music as well as anyone ever has or ever will. The Grand Ole Opry and the Wheeling Jamboree made them stars...and stars they remained from the 1940s onward. This 4-CD set includes all of Wilma Lee and Stoney Cooper's recordings for Rich-R-Tone, Columbia, and Hickory. Every locatable recording between 1947 and 1964 is included. Among the traditional music classics in this collection are Little Rosewood Casket, Wicked Path Of Sin, Tramp On The Street, Willy Roy The Crippled Boy, Walking My Lord Up Calvary's Hill, Thirty Pieces Of Silver, Ain't Gonna Work Tomorrow, and many more. They also recorded the original version of I Dreamed Of A Hillbilly Heaven, although it wasn't released at the time (it is included here, though). After switching to Hickory Records in 1955, the Coopers made some of the very finest new music in the old-time style, scoring hits with Cheated Too, Come Walk With Me, Big Midnight Special, There's A Big Wheel, Johnny My Love, This Ole House, and Wreck On The Highway. All of them are here, together with every other extant Hickory recording. The best songwriters of their generation, including Don Gibson, the Louvins, and Boudleaux Bryant wrote for them, and Wilma Lee herself wrote many of their songs. Stoney Cooper died in 1977, but Wilma Lee continued to make appearances, and became a spokesperson for the music she loved and the music she did so much to popularize and keep alive for future generations. This set is a trove of classic American traditional music, sung with the passion it deserves, and played by some of the best musicians of the 1940s, '50s, and '60s. Most of these recordings have never been on CD! The set also includes a full-length biography by Bruce A. McGuire with many first-hand accounts from Wilma Lee herself, as well as rare photos and advertisements. "Stoney Coper And Wilma Lee"
The early days of country music produced several husband and wife teams, perhaps none more popular than Wilma Lee and Stoney Cooper. They carved a permanent and unique place in the history of country music and their influence and enduring popularity are indisputable. Contemporary critics would say, "How can you call them stars, they hardly had any hits?" But stars they were, clear across the eastern half of the country and up into Canada. 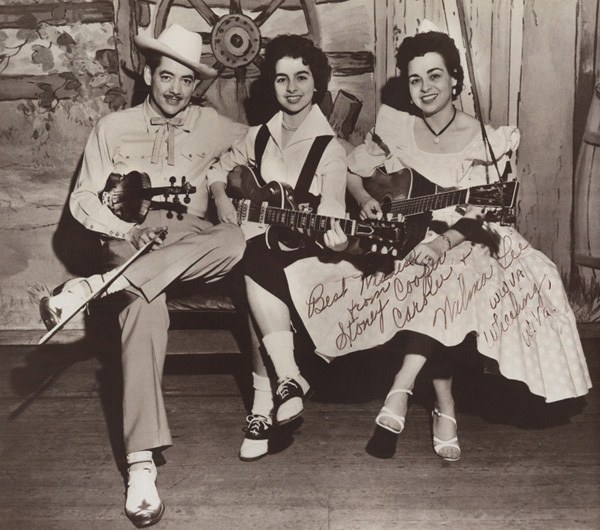 They were stars in little towns and barren hollers, and in isolated homesteads where the car battery was hooked up to the radio on Saturday nights to bring in the WWVA Wheeling Jamboree or the Grand Ole Opry. The Coopers had no media handlers, but they knew to stay after the show until every last autograph was signed, and every last hand shaken. They became stars the old fashioned way and they remained stars the old fashioned way. Wilma Leigh Leary was born the oldest of three daughters to Jacob and Lola Leary of Valley Head, West Virginia on February 7, 1921. Jacob was a West Virginia coal miner and farmer. Lola was a teacher. The Learys were a musical family, and Wilma Leigh and her sisters were no exception. As the girls grew older, they learned to sing along with their parents from paperback shape-note hymnals, often accompanied by their mother who played pump organ. Mrs. Leary taught Wilma Leigh to play the instrument while her father ordered her a 'Maybelle' guitar from the Chicago School of Music. Influenced by the early recordings of the original Carter Family that were so popular at the time, especially in rural regions, Wilma Leigh would eventually become as well known for her hard driving guitar style as for her powerful and emotion packed vocals. 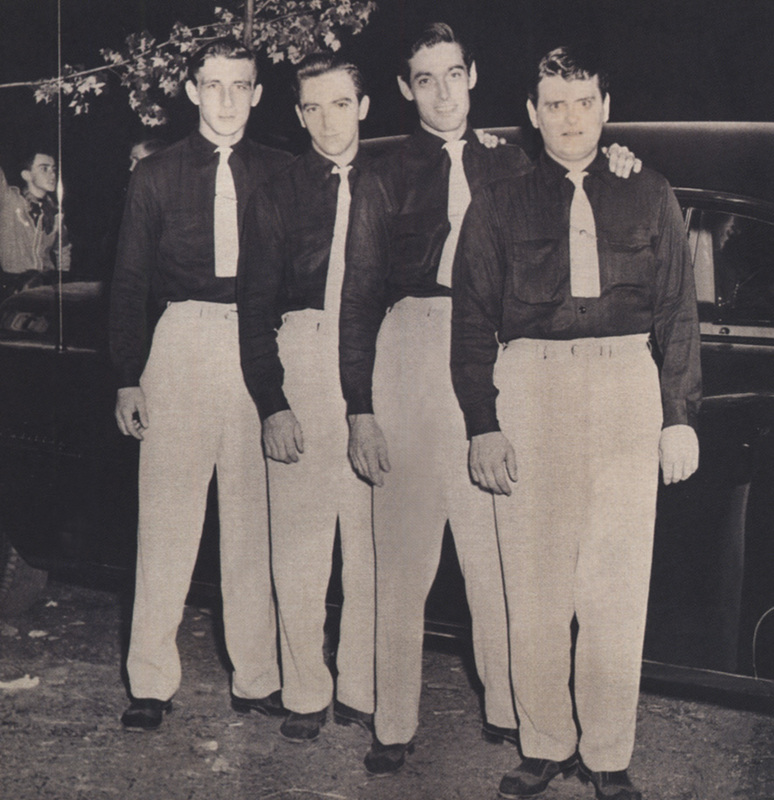 At first, the Leary Family performed at church and local social events, but that changed when they entered a local contest in 1938 and won. They were chosen through regional and state talent contests to represent their home state of West Virginia at the National Folk Festival in Washington, DC. The National Folk Festival began in 1934 and today is the oldest multicultural traditional arts celebration in the United States. First lady Eleanor Roosevelt was heavily involved as honorary chairman and organized its move to Washington in 1938. On their way back to Elkins from Washington, the Learys visited radio station WSVA in Harrisonburg, Virginia. The program director insisted that the family audition and offered them a spot on the station. They started their own show the next day. By the summer of 1938, seventeen year-old Wilma Leigh was already accompanying the family on guitar while Mrs. Leary's brother played fiddle. The three girls had also begun singing secular songs in addition to the sacred songs the family performed together. In the fall of 1938, Wilma Leigh's uncle returned to his job as a schoolteacher and Jacob Leary began his search for a replacement. Jacob, or Jake as he was usually called, remembered hearing a young fiddle player named Dale 'Smiley' Cooper, who worked with Rusty Hiser and the Green Valley Boys over WMMN in Fairmont, West Virginia. By then, the group had moved on to Lynchburg, but the lack of commercial success led them to disband. Dale returned home to Harmon, West Virginia, to work on the farm with his father and twin brother, Dean. He had not, however, gone home without honing his skills as a fiddle player and vocalist. Jake Leary sent Dale a penny postcard offering him a job with the family. Dale, along with his brother traveled to Seneca Valley to see the family perform. Jake offered Dale ten dollars a week with room and board. Dale accepted, no doubt motivated by the opportunity to work with such a talented group, but also perhaps by the added bonus of being surrounded by three beautiful young girls, even if under the watchful eye of Jake Leary. Dale was born Dale Troy Cooper on October 16, 1918 on his family's farm in Harmon, West Virginia, just 40 miles "as the crow flies" from the Leary homestead in the Dry Fork Valley. Dale's oldest brother played fiddle for local square dances, while Dale learned to play guitar and clawhammer banjo to accompany him. Dale, though, was also influenced by Fiddlin' Arthur Smith on the Grand Ole Opry and began to favor the fiddle. Handsome and twenty years old, by the time he joined the Leary Family, Dale initially dated middle sister Geraldine for a short time, but Geraldine, as Wilma Leigh later recalled, was "kinda fickle and didn't stay with one boy for long at a time." Dale had already caught the eye of the raven haired, olive skinned Wilma Leigh and it wasn't long before they were dating. If you saw a Leary Family show in the late 1930s, you'd see the entire family performing sacred songs as an ensemble, the girls performing secular songs as a trio or individually, and Dale and Wilma Leigh performing as a duet called the Singing Pals. The family's program over WSVA was popular throughout the region and they were making personal appearances up and down the Shenandoah Valley, as well as eastern portions of West Virginia. Because of their continuing popularity, the family was invited back as special guests at the 1939 Folk Festival. It was at that time the Library of Congress recorded them. They continued their many personal appearances and programs over WSVA in Harrisonburg over the next couple of years. During this time, one of Wilma Leigh's best-received solo numbers was The Hills Of Roane County. The events recounted were real. In September 1884, Willis Maberry killed his brother-in-law, Thomas Galbreath, in Roane County, Tennessee, because Galbreath had stabbed him in an earlier fight. Galbreath's wife, Lucy, saw Maberry aiming his gun, and told him to stop shooting because he'd wounded Tom and killed her pig. The pig died instantly and Tom died the following day. Twenty-five years later, Maberry returned to Roane County and was imprisoned. While in Kingston Jail, he wrote a poem, The Roane County Prisoner, which became this song. After his release around 1922, Maberry's Galbreath relatives cared for him until his death. 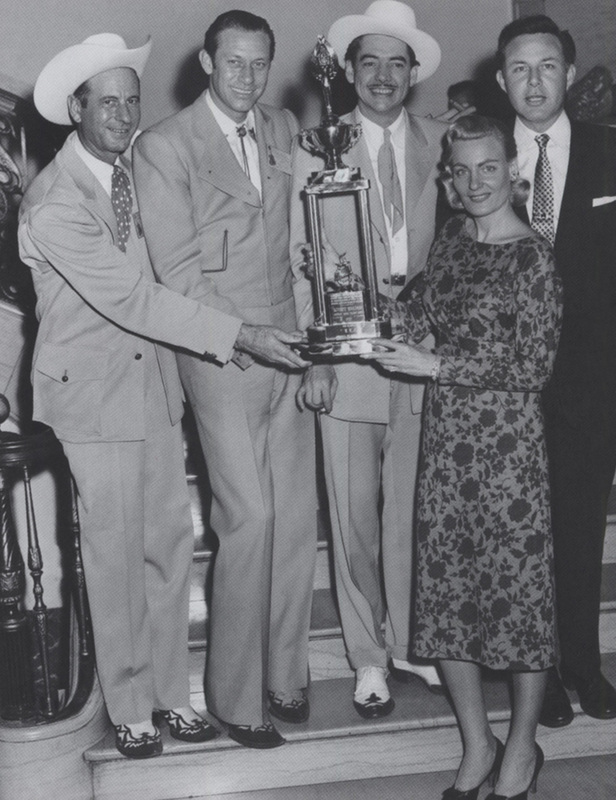 Roy Acuff heard young Wilma Leigh perform the song and asked her for the lyrics. She taught him the song and he took it back to Nashville. Later, he told her that he was unable to perform it on the Grand Ole Opry because it contained real names and events, so he wrote new words to it. It's an explanation that doesn't quite ring true, but Acuff's new lyrics became one of the most popular and enduring songs in country music, The Precious Jewel. The courtship between Wilma Leigh and 'Smiley' Cooper continued as Wilma Leigh, in addition to her work with the family act, completed high school and earned a business degree from Davis and Elkins College in Elkins, West Virginia. The degree would prove to be beneficial in years to come. In 1941, The Learys increased their following when they moved to WWVA in Wheeling, West Virginia, then a 5000 watt station with a larger audience. WWVA, however, already had a popular tri-state yodeling champion, Smilie Sutter, on the station, so the family held an on air contest to give 'Smiley' Cooper a new nickname. The winning submission was 'Stoney' and so Dale T. 'Smiley' Cooper would henceforth be known as Stoney Cooper. By this time, Wilma Leigh had taken on the simpler spelling of her middle name and the duet became Stoney Cooper and Wilma Lee. Shortly after the family moved to WWVA in Wheeling in 1941, Wilma Lee and Stoney married. A year later, on March 21, 1942, daughter Carolee was born. Radio listeners flooded the station with cards and gifts, but the Coopers decided to drop out of show business in order to provide a more stable home life for their daughter. Stoney took a job as a delivery truck driver for the Vaughn Beverage Company in Wheeling and Wilma Lee settled in as housewife. Their retirement didn't last long, though. "I was goin' nuts at home", Wilma Lee recalled, "I'd put Carol in a stroller and just walk and walk and walk. Stoney wasn't happy, neither and it was awful hard to settle down that way after we'd worked in music for so long". After about six months, the couple received an offer to do a regular program in Grand Island, Nebraska for seventy dollars a week, forty-five for Stoney and twenty-five for Wilma Lee (women were always paid less in those days, regardless of their importance within an act). The Coopers packed everything, including Carolee, in a Studebaker Roadster with patched tires, and headed out across the country for KMMJ in Grand Island. Thus began stints at radio stations across the eastern part of the country. It was what Wilma Lee refers to as "playing out territories." She explains: "Back in the days of radio, why you'd work at one place for awhile until you'd reached everybody you could reach there and then you'd move on to a new territory. That's the way it was done in those days." During their stint in Nebraska, Wilma Lee did typing work on the side while Stoney played fiddle for another couple at the station for extra money. Personal appearances also played a vital role in "playing out territories" and there were plenty of those. The Leary Family joined Wilma Lee and Stoney soon after they made the move to KMMJ and the entire family worked together once again. Geraldine simplified her name, and performed with sister Peggy Gayle as Jerry and Peggy—the Sunshine Girls. By the summer of 1943, having "pretty well played out the area", they accepted an offer to work for WIBC and headed off for a new stint in Indianapolis, Indiana. One of their fellow cast members at WIBC was a young performer named 'Little' Jimmy Dickens, who was just getting his start and a friendship began that would last for many years to come. Customer evaluation for "Big Midnight Special (4-CD)"